What are the benefits of having these set up correctly? Google Analytics and Search Console are both essential tools in any SEO strategy. Once setup correctly and regularly monitored, they allow for accurate measuring, collecting, analysis and reporting of key data points. They are imperative in ensuring that your website is properly audited, your marketing spend is securing solid ROI and that it provides you with meaningful, and relevant information. Providing businesses of all sizes with the tools required to understand customers, secure stronger results across all channels and comprehensively personalise digital approaches, Google Analytics is one of the most powerful and important platforms businesses can utilise. With ever more ways for customers to interact with brands, building a detailed and accurate overview of the customer journey can be difficult. Measuring key data points and providing a detailed analysis of your website traffic, Google Analytics will inform your approach and deliver meaningful and valuable insights into your customers from brand awareness to conversion. The true success of Google Analytics lies in the depth and breadth of its capabilities. Forming connections between important elements, including channel performances and customer behaviour across platforms, GA gives us access to detailed and customisable reports that help us to quickly see which approaches are working successfully and which need additional attention to effectively drive positive results. Google Analytics provides options to connect both online and offline channels, encapsulating call centres, points of sale and allows for large volumes of product/customer data to be imported to further inform key decisions and marketing initiatives. Integrated data avoids unnecessarily siloed knowledge which only presents a partial picture and not a joined up holistic view. The range of specific and granular data Google Analytics can capture is huge and the above list is just the tip of the iceberg. We could list many more – these are just some of the most important and common data points it can capture. How do we get the most out of Google Analytics? 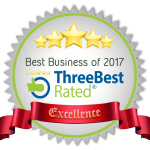 Understanding how to interpret and implement knowledge gained from this data to the full advantage of your business is essential. 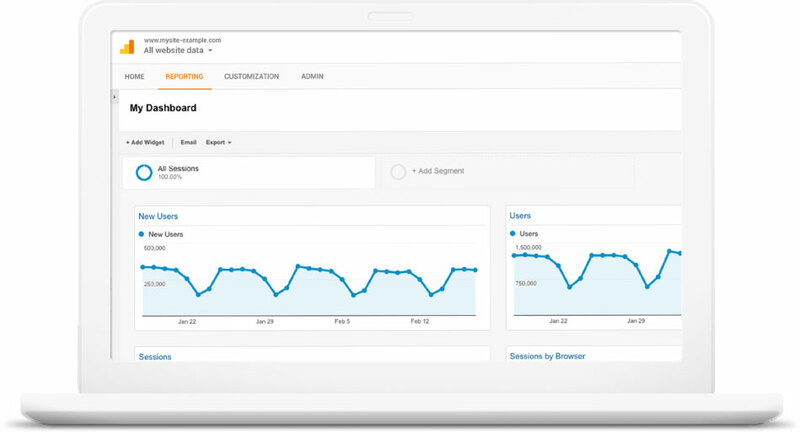 With our comprehensive understanding of your business objectives and KPIs, we’ll create Goals and Events within the Google Analytics platform itself, which will track and record the results of key campaigns. Your goals may include email list sign-ups or purchase completions, but as GA’s goal tracking can be tailored to your requirements this ensures that you’ll always be thoroughly informed as to how successful a campaign has been and how beneficial the results are for your business. As fake traffic can lead to the misrepresentation of your metrics its efficient identification and removal is necessary to ensure that the data we are using to make key decisions is accurate. Large numbers of spam referrals can seriously impact important data points including engagement numbers, giving us a false representation of the size and quality of your traffic. Helping us to track and manage the presence of your website within search results, Search Console is an invaluable tool that provides the information needed to fully understand how and why Google sees and ranks your website in its search results. Understanding it and being able to utilise the tools it offers allows us to take the right steps to thoroughly optimise your performance with Google, as well as all other major search engines. 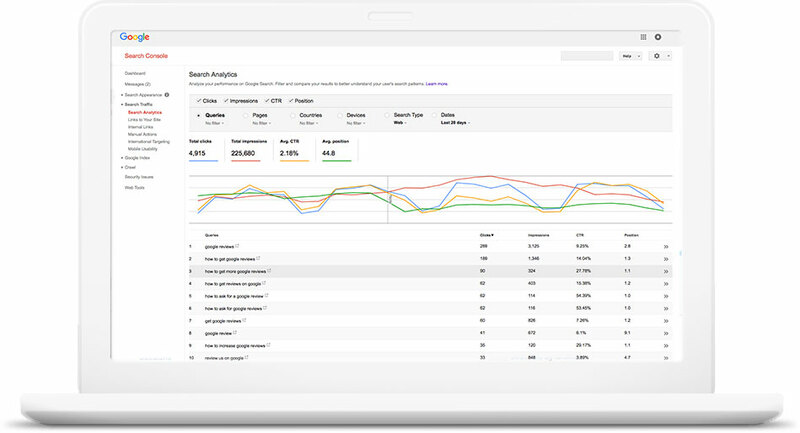 Allowing us to tailor your search engine appearance to suit your digital strategy, Search Console helps us to ensure that Google understands what your website is about and sees it in the best possible light. You need to know that the content you are creating is visible, showing up in results for previously identified key search terms and successfully reaching your intended audience. The Console allows us to submit your newest pieces of content for crawling, as well as removing information that you don’t want to see displayed in search engine results pages (SERPs). When used in conjunction with Google Analytics, Search Console gives us a comprehensive overview of your place within the wider digital landscape and can help us conduct in-depth and sophisticated marketing analysis. 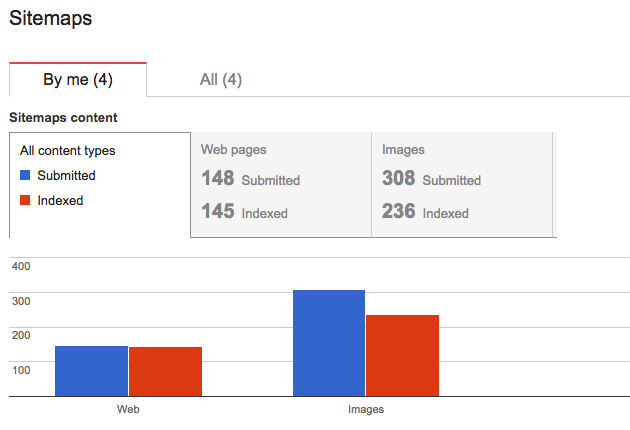 What does Google Search Console measure? On top of these, Google Search Console also measures a variety of other important metrics, which are too numerous to list here. All of these help us to discover precisely how Google and subsequently the rest of the world, view your site. What do we use Google Search Console for? Understanding how Google is interpreting pages on your website is important in ensuring that information is being presented in the ways in which you intended. Search engines need to understand the content of each web page and providing additional contextualizing information and page content classification will help to ensure that your content is fully understood by and presented well within SERPs. Search analytics data points will undoubtedly form a large part of your overall digital strategy. It is important to understand how many clicks you’re securing through search engine results pages, as well as how high you’re ranking for important search terms. These key metrics will tell us whether investing time into refining the information displayed in search results, pushing for higher ranking positions through a measured keyword strategy, or implementing a strategy to boost your CTR will deliver solid ROI and improve your SEO efforts. How do we use Google Search Console for SEO? Google Search Console is a powerful tool for SEO and expert utilisation of it is essential in securing trackable results for your website. This key tool accurately depicts how many distinct URLs within the overall landscape of your website have been detected and acknowledged by Google’s index. Monitoring both steady growth and sudden changes, Google Search Console allows us to understand your index status and ensure that Google can access every part of your website. It will also alert us to any potential issues that may need an efficient resolution. Web crawlers (also known as ‘spiders’) should be able to access each page of your website to understand the type of information that can be found there and to identify which search terms your content provides appropriate solutions for. In some cases, websites contain hidden errors and one of the most important tools within Google Search Console is the ability to quickly and efficiently identify elements that require further attention. Sitemaps provide web crawlers and search engines with the important pieces of information they need to understand websites. These files will tell them everything they need to know about the organisation of your website, in addition to the types of content you produce and how often your site is updated. Although it is not mandatory, there are a number of clear benefits to ensuring that search engines can complete their job more efficiently. How do we get the most out of Google Search Console? Identifying and targeting appropriate and effective search terms is an essential part of every digital strategy. Search Console not only assists with driving traffic and informing key decisions with the aim of boosting your website’s visibility, it also alerts us to any unexpected errors, allowing us to correct them as they arise. Communicating more efficiently with search engines and getting feedback from Google is essential in providing an ongoing health check for your site. As an additional service, we can measure all inbound enquiries from your website, including telephone calls and form completions, which informs our strategy for securing valuable customer interaction and activity. A thorough analysis of these visits, including where visitors came from, how many times they visited your site before getting in contact, and precisely which pages they visited will deliver a detailed picture as to which pieces of content and tactics are proving to be the most effective in securing conversions. This attribution provides us with indisputable data to help shape and focus your digital marketing spend and establish ROI.